This kitchen is designed by Wespi De Meuron Romeo Architects in Switzerland in a historic stone house. The aim of the architects was to maintain the ancient simplicity of this historic building. The interiors feel like they have been carved out of the space as opposed to being added to the space. 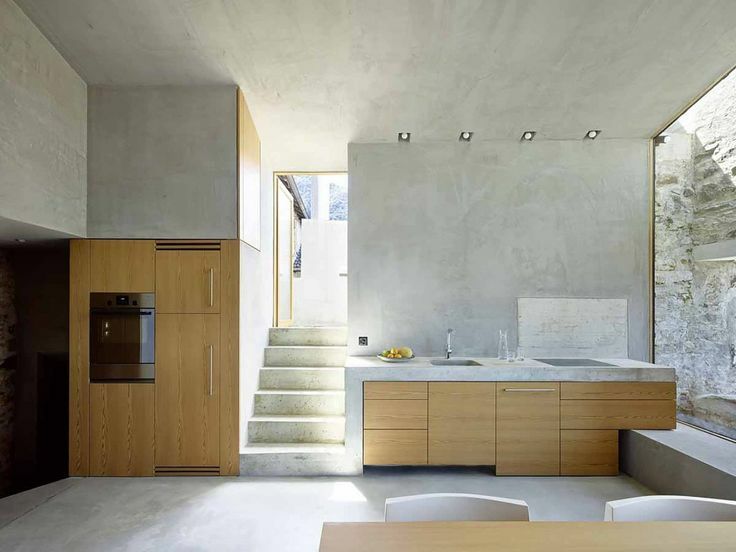 The kitchen is an extension of the concrete stairs, which in turn is part of both the floors and walls. The space is a beautiful junction of concrete geometric forms, fitting like a puzzle together neatly and precisely.